Every aspect of Belmont—from the robust academic environment to the full range of activities—focuses on possibility. There is no doubt about the prestige of a Belmont degree, but the real value of coming here is having the chance to explore, discover, and expand your horizons. It takes a special kind of atmosphere to open the door to possibility. At Belmont, wecall that atmosphere a community: where there is absolutely nothing unusual about a science whiz and the next Picasso living next to each other, taking core classes with each other, and enjoying the fact that they are constantly learning from each other. The point is that people thrive in Belmont’s caring Christian environment. You will find you are expected to excel here, and you are respected here. Belmont believes that every student is created for a purpose in life, and we are committed to helping students realize their potential. It’s a small wonder so many students tell us they find themselves—and what they mean to the world—here. Belmont is a Christian university located in the heart of Nashville, in a quiet area convenient to downtown and adjacent to Music Row. We are the largest Christian university in Tennessee and among the fastest-growing in the nation, with more than 8,300 undergraduate and graduate students from all 50 states and over 36 countries. Those facts alone don’t do justice to the Christian spirit on campus, a spirit that is portrayed in the many ways students gladly give of themselves through service projects and avid volunteerism. 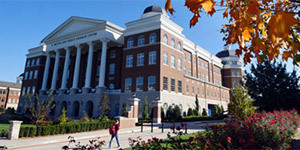 Belmont offers more than 120 programs of study. We have more than 400 full-time faculty members, and each one is committed to engaging students in enjoyable, rigorous classroom experiences as well as independent research. Teaching at Belmont is paramount; it is interactive, technology supported, motivational, and creative. It’s also personal, with teachers often assuming the role of mentors. Eighty-nine percent of classes have 30 or fewer students, and the student-faculty ratio is 13:1. These small numbers create a very personal learning environment in which students engage in one-on-one interaction with professors inside and outside the classroom. Great emphasis is placed on hands-on experience. One quick walk around campus anda few friendly conversations are allit takes to confirm there are many different styles, attitudes, and dreamson our campus. As diverse as our students are, they all feel perfectly at home in a community most accurately described as warm, inviting, and accepting. With approximately 81% of students coming from out of state, the campus is very residential, and the list of activities to get involved inis endless. There are more than 190 clubs and organizations, including Greek life, NCAA Division I athletics, an extensive intramural program, student government, the campus newspaper, service organizations, academic clubs, honor societies, professional fraternities, music and drama groups, multicultural organizations, and manydifferent religious organizations. You won’t have any problem finding your niche here! Even though our students share a sense of calling to pursue religion, they don’t necessarily share the same career goals. Some are more focused on academics, some on ministry, andstill others on personal fulfillment. 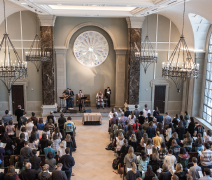 The fact that the College of Theology and Christian Ministry at Belmont University recognizes these distinctions—and, more to the point, honors them—forms the foundation of an unusually balanced and welcoming environment. Academics: There is an equitable blend of practical ministry courses and rigorous theoretical courses. Expect to spend as much time exploring your own spiritual development as the subtleties of the Bible, church history, and theology. Relevance: Many different Christian traditions are represented by Religion majors. The variety of denominations results in an invigorating, thought-provoking mix of backgrounds and traditions. The College of Theology and Christian Ministry will prepare you by focusing on relevant personal and social issues for ministry in today’s world. Flexibility: Our curriculum provides a strong foundation for a variety of careers, from aspiring ministers preparing for seminary admission to students planning to serve in community leadership positions to students with their sights set on Christian counseling or college teaching. 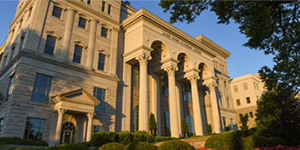 Everything about Belmont University is geared toward giving you the freedom to develop your unique strengths and gifts so you can change your world. We’re often asked to sum up why Belmont graduates do so well in the world. We believe, when all is said and done, that it’s the quality of the day-to-day living and learning that gives our graduates the skills and confidence to go from here to practically anywhere their hearts and minds lead them. Come experience our community for yourself. Talk to students, faculty, and admission staff. Take a tour, visit a class, and see why we boldly claim that Belmont can take you from here to anywhere!